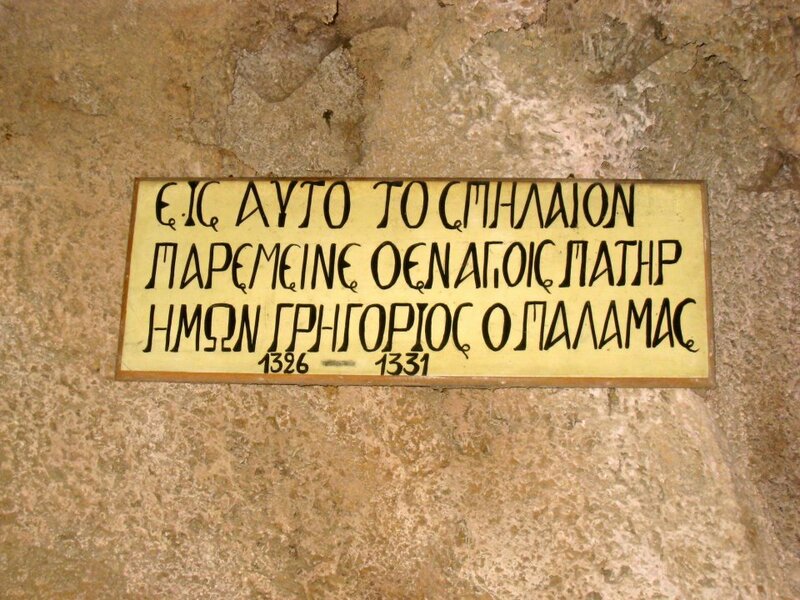 After spending some years as a monastic at Mount Athos, at the age of twenty-nine in the autumn of 1325 the sweet silence of Gregory Palamas and his companions was disturbed by Muslims who attacked the hermits that lived in solitude outside the protective walls of Great Lavra. The Saint therefore left Mount Athos for Thessaloniki with eleven other monks, with the intention of going to Jerusalem and Sinai. After a divine revelation through Saint Demetrios, however, Saint Gregory decided to remain in Thessaloniki. 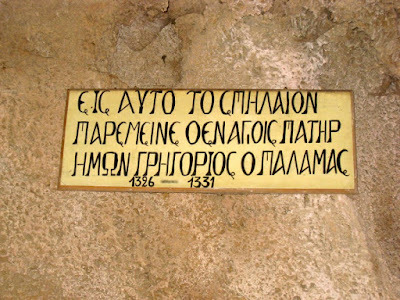 In 1326, when Gregory reached the canonical age of thirty, he was ordained a Deacon then a Presbyter by Patriarch John XIV Kalekas of Constantinople. Shortly after this he went with ten other monks to live as ascetics in Beroea. 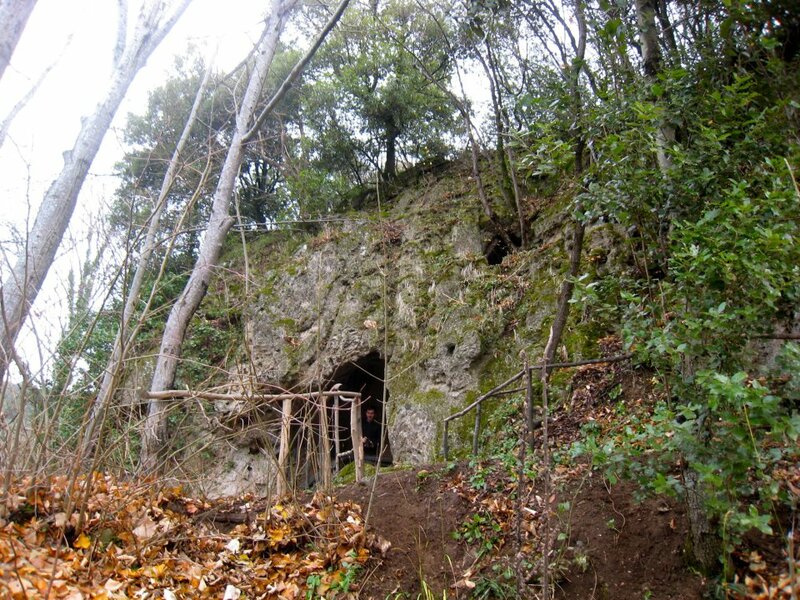 There he found a cave in which he lived from 1326 to 1331, near the Skete of Saint John the Forerunner. 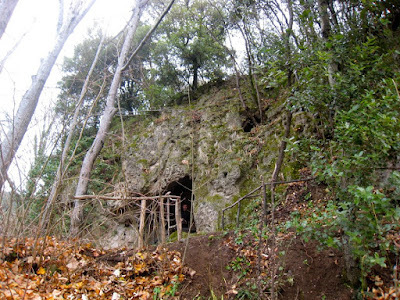 This cave had formerly served as the cold storage area for food of the Skete. In the quietness and solitude of his cave, Saint Gregory immersed himself in perpetual contemplation of God, through unceasing prayer. He undertook great struggles and lived an austere life, with long fasts and vigils, with the aim of purifying his heart to make his body a fit temple of the Holy Spirit. Five days a week he never left his cave and would not receive anyone. On Saturday and Sunday he would serve the Divine Liturgy with his fellow monks and partake of the Holy Mysteries. Many of these holy men were astonished at his progress in the virtuous life, for he was found worthy of the gift of wonderworking and prophecy. It was also during this time that he had his first vision of the Lord Jesus in the pure and perfect light of His divinity. One day a young Bulgarian named Gregory Akindynos came to Gregory for spiritual instruction. He had come from his native town of Prilep in Macedonia to be a teacher of Grammar. Gregory received him and instructed him on the good foundation of humility, patience and obedience, but he yielded to demonic suggestions and thoughts and abandoned this manner of life to continue his studies in Thessaloniki, under such teachers as Magistros and Bryennios. He went on to translate the Summa of Thomas Aquinas into Greek. 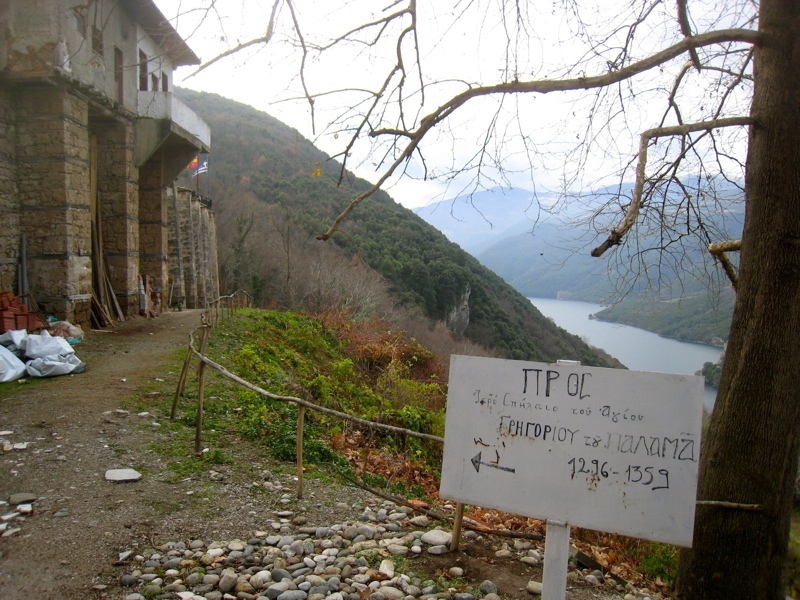 The paths of these two Gregory's would meet once again during the hesychast controversies. 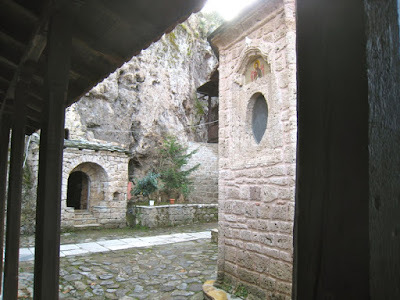 After the death of his mother and sister, and five peaceful years in silence at his hermitage in Beroea, Gregory was obliged to leave there due to frequent attacks from northern Illyrians, making the neighborhood insecure. He therefore returned to Mount Athos and resided at Great Lavra.